Classic Credit Card Range:These cards aim at cardholders who want to get the maximum benefits out of everyday usage, while either building up or repairing their credit history at the same time. With up-to-date account information being made available 24 hours a day, customers can keep a close eye on their spending and the issuer sends out email or text messages to remind customers of due payments. There is automatic monthly reporting to the main credit reference agencies, too, so that customers can see fairly quickly how their credit history is faring. These are a range of reward cards that reward both the customer and the environment – therefore perhaps aimed at more discerning clientele who think about their purchases in more detail. For every dollar spent customers get a 2 point reward, which can be redeemed against eco friendly rewards like gift cards (hopefully biodegradable! ), cashbacks or other type of rewards. Both of the above type cards allow customers to pay their bill online at no extra charge. There is a 100% protection scheme in place in case of unauthorized usage and there are even personal customized spending alerts helping customers to stay within their credit card limits and check their spending. Customers have a choice between Visa and MasterCards and depending on their circumstances can also choose between Classic, Platinum, Gold or secured credit cards. Aimed at customers who wish to build up or repair their credit history, the card come with a friendly 7.9% variable APR on purchases and there is no annual fee in the first year either. Cardmembers enjoy the same benefits as regular credit cardholders, but know that they cannot get into financial difficulty with the card, since it is secured. There are a variety of ever changing benefits and special offers for all cardholders to enjoy, ranging from discounts on gas purchases with their AutoVantage service, enabling customers to save up to $40 on their gas purchase, to insurance or credit check facilities online. Their Travel Smart scheme has advantageous deals and discounts for card members who also join the Travellers’ Advantage scheme. The Travel and Leisure category of special offers and discounts for card members ranges from dining out to drugstore purchases to cheap travel and cheap online shopping for pets. Another benefit of the cards is that customers can schedule their payment due date to suit their requirements, which helps to repay bills on time and within monthly budget. 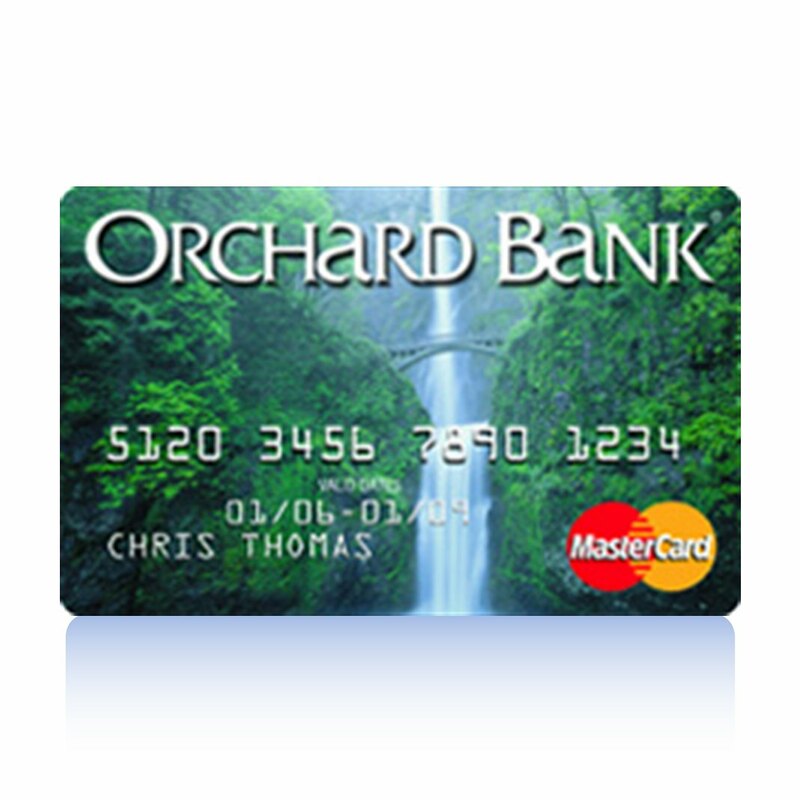 The Orchard Bank cards make excellent first credit cards for those with limited credit histories. It appears that customers must enter the application process before they can find out anything at all about the terms and conditions, the APR applicable to their particular card or indeed any information that would help them to choose the right card for them. Here, the value of review sites such as firstcredit becomes immediately apparent. See also, Bad Credit Credit Cards. The Orchard Bank card was a perfect First Credit Card. See also the Credit One Bank card as a great comparable choice.